Prior to Rodrigo Duterte being sworn in as President of the Philippines in late June 2016, Sino-Philippine relations were tense, relating to the dispute over Scarborough Shoal. Duterte has, from day one of his presidency, sought to improve relations with the Philippines’ most powerful neighbour whilst distancing his government from the United States. Such moves have been well-received by Beijing. In late October 2016, Filipino fishermen were suddenly allowed access to fish in the Scarborough Shoal without being harassed by the Chinese coast guard. This was a dramatic reversal from the previous three years, during which China refused Filipino fishermen access. China however has not received any material gain in return. Instead, the primary issue that concerns Beijing is a non-threatening and non-hostile Philippines; a country that is not siding with the United States; a country that will not use international institutions to target China, as the previous president of the Philippines, Benigno “Noynoy” Aquino III, attempted to do. Duterte has not sought to use the United Nations’ ruling on the South China Sea (a massive victory for the Philippines and a devastating defeat for China) as public leverage in his dealings with the country. This is why we see such variance in China’s actions in the South China Sea. In other words, it is the perceived threat level to the Chinese Communist Party that impacts how the regime reacts to the case of the Philippines and the South China Sea. 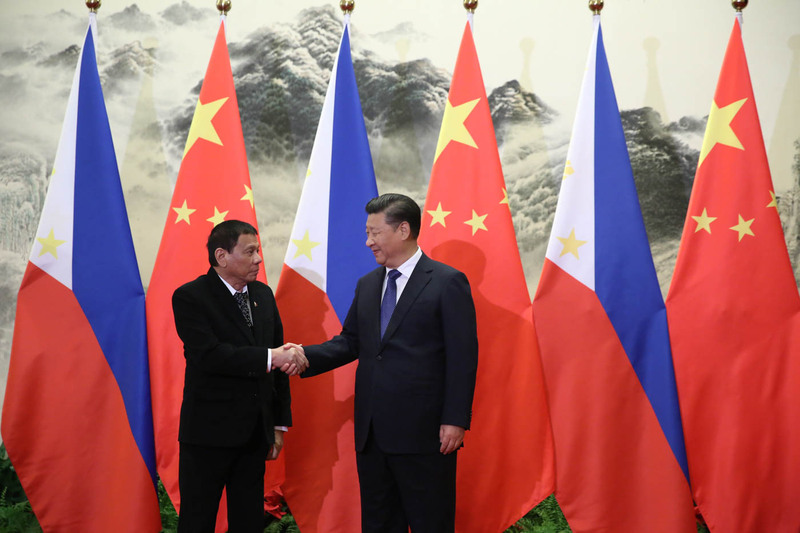 With Duterte’s more cooperative approach, Beijing perceives the threat level as low and is therefore willing to work with the Philippine president. This has implications for the South China Sea dispute. Given the flexibility that Beijing has demonstrated in working with a leader who appears to pose no threat to China, this is something that other states should take into account. After all, Duterte was able to accomplish something that an international institution (the UN Convention on the Law of the Sea) was unable to achieve with China. The United States should take note that, if China perceives itself as under threat, there will be little incentive for Beijing to cooperate. However, if the US demonstrates it is not threatening to what China perceives as core interests, then chances for cooperation should increase. A first step is for newly elected president, Donald J. Trump to avoid using Taiwan as a bargaining chip in US relations with China. At least for now, he seems to have accepted the One-China policy. The United States needs to come to terms with China’s ascendancy and adjust accordingly to allow room for its geopolitical rival. Washington’s lack of willingness to reform leading international financial institutions (such as the International Monetary Fund), and its staunch opposition to China’s creation of the Asian Infrastructure Investment Bank, demonstrates that the US worries about Chinese dominance of international institutions. The United States’ inability to prevent China’s island building in the South China Sea demonstrates the lack of leverage the US has with China on that issue. Conflict with China, let alone war, will not benefit either side. While China is seeking to advance its interests in global affairs, there are still considerable opportunities for cooperation. If Beijing perceives a leader or an international institution as threatening to its regime, then we should expect a lack of cooperation from the Chinese government. However, if Beijing perceives little threat to its existence then, as demonstrated in the case of Duterte, the chances for cooperation should improve.